Conil de la Frontera, Spain, is a beach town about an hour to the south of the City of Rota in the Andalusian region of southern Spain. 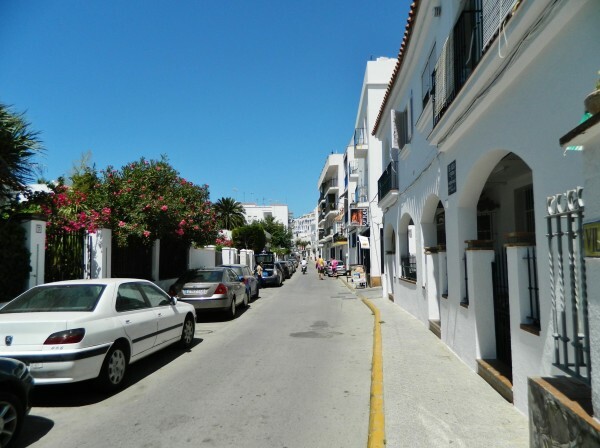 Conil is one of the many “Pueblos Blancos” (white towns) in southern Spain. There are several within a few hours drive from Rota, and they are aptly named for the predominately white structures that dominate the hillsides. Conil is primarily a vacation town and has a population of about 20,000 people. Known for its beautiful beaches (there are six), the town draws summer vacationers from all over Spain. The beaches are wide, flat, and seem to stretch on for miles. In the summer, hotels, chiringuitos, and restaurants dot the landscape. We went in search of a place we had heard of called Chiringuito Francisco Fontanilla that was described as having great paella. 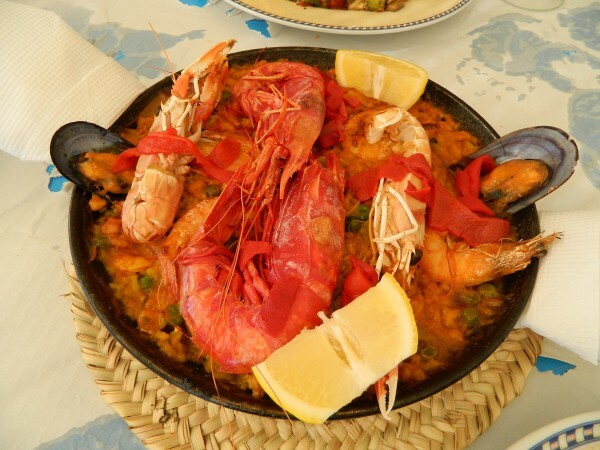 Many non-Spanish people think of paella as Spain’s “national dish,” though it is really more common near where it originated, on the eastern coast of Spain in Valencia. Here in southern Spain, it’s sometimes not even on the typical restaurant menu so we had to give it a try. We ordered the paella de marisco (seafood paella–in this case, shellfish) for two, pictured here. A walk along Conil’s main street offers stunning views of the beaches, an up close and personal experience with cactus fruit, and gives a great sense of the flavor of the city. During the summer months, visitors can enjoy a small outdoor market near the beach where local artisans and craftspeople sell their goods. 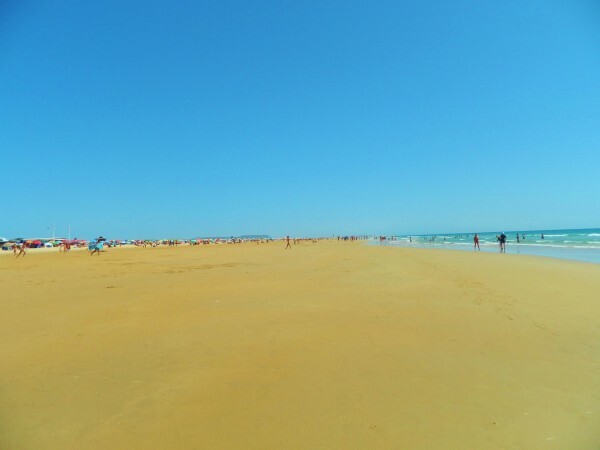 A day trip to beautiful Conil de la Frontera truly feels like a vacation!